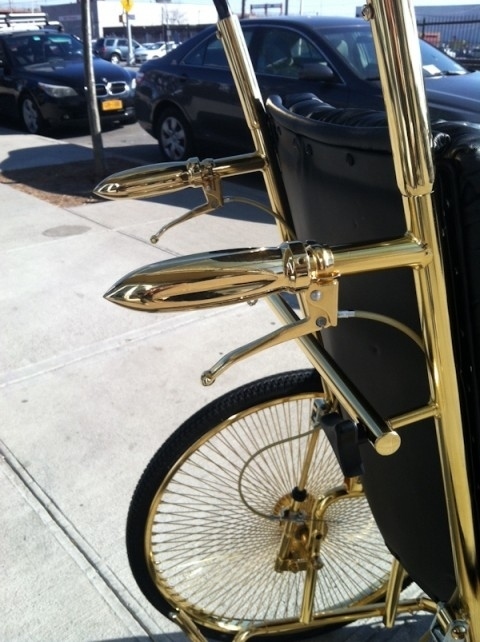 Lady Gaga is well known for her eccentric stunts like her choice of shoes, wearing meat to an award amongst others, now she has added another one to her growning list. 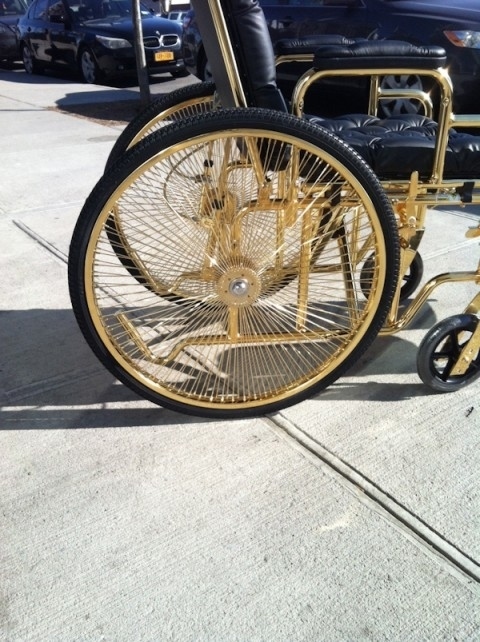 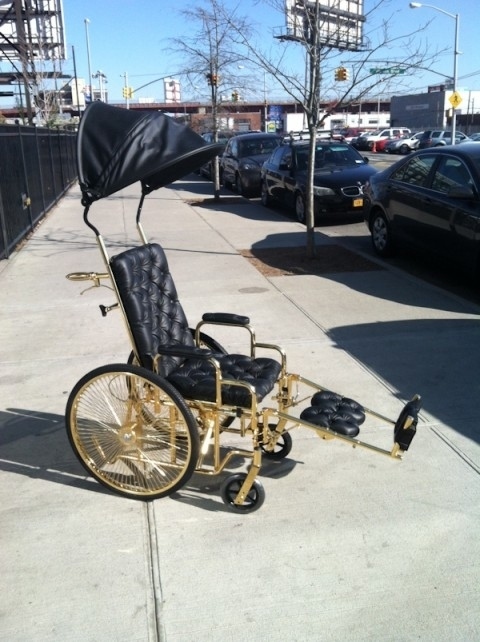 Lady Gaga was spotted being pushed in a 24 karat gold wheelchair as she recovers from her hip surgery. The one of a kind wheelchair was crafted by Ken Borochov of the luxury line Mordekai. The wheelchair comes with black leather seats and a black leather canopy.